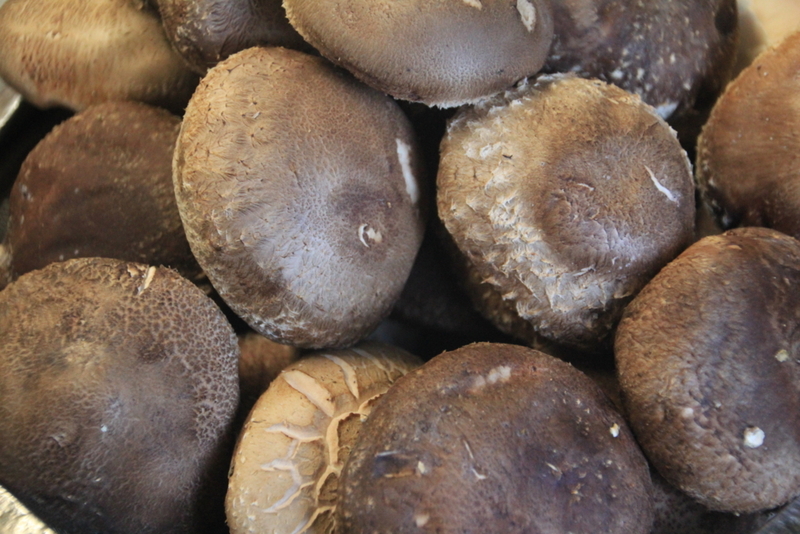 Shiitake is the most popular mushroom and we've got a box of raw timber cultivated shiitake. 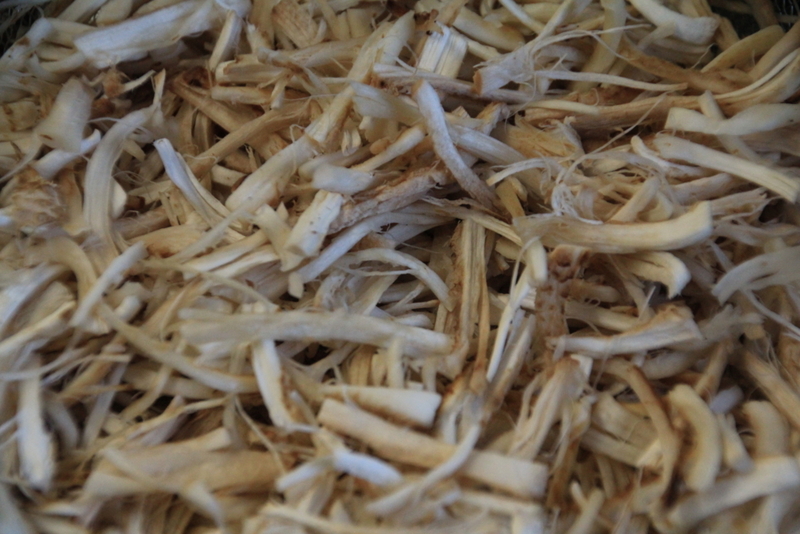 Unlike the ones grown in wood chip bed in a farm house, it seeded in raw timber such as oak, quercus in a woods surrounded natural enviroment. 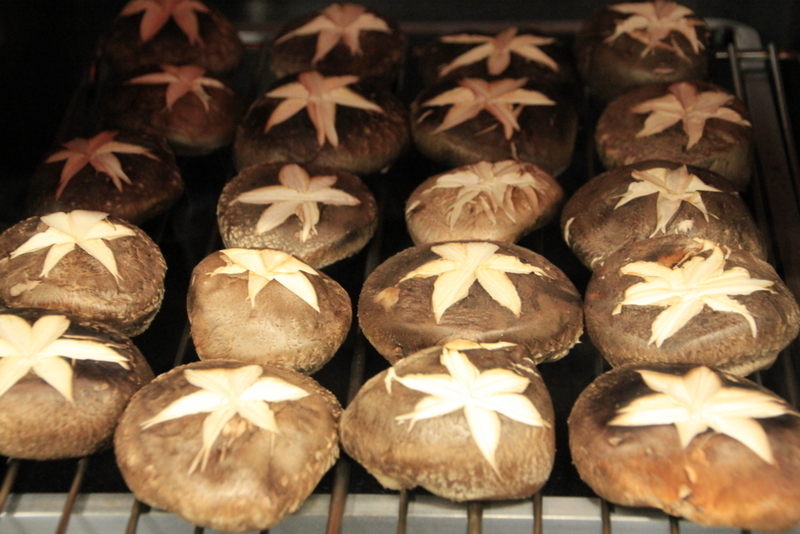 This method gives Shiitake distinguished flavour and taste. 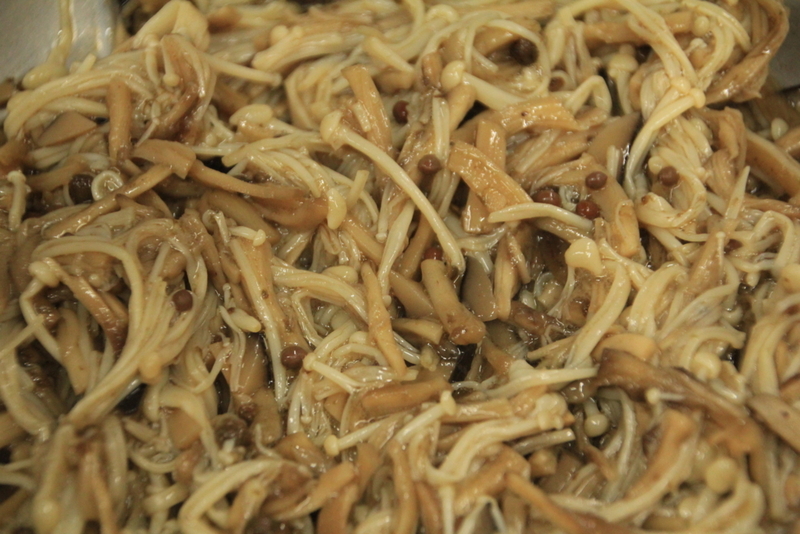 In autumn, the owner goes into the mountains to pick variety of wild mushrooms and prepare for the 'tasting course' or a part of starter. 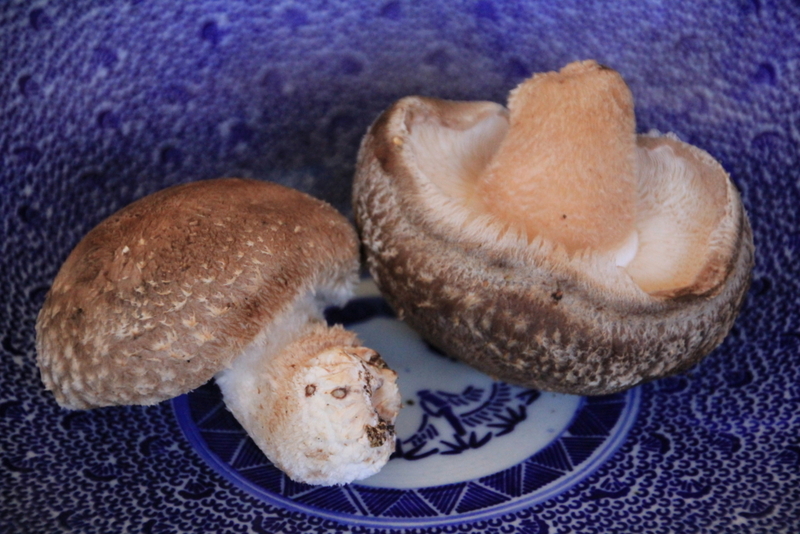 I will challenge wild-mushroom picking this autumn and really look forward to it! 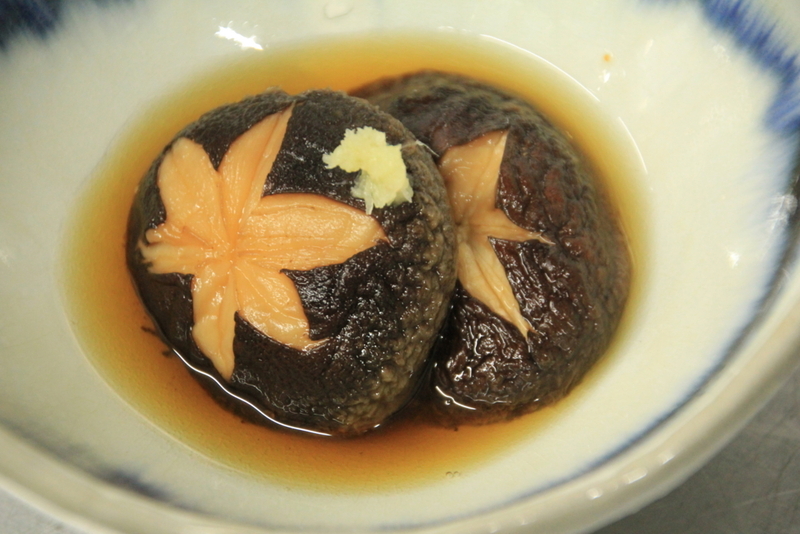 Grilled, then soaked in dashi- soup. 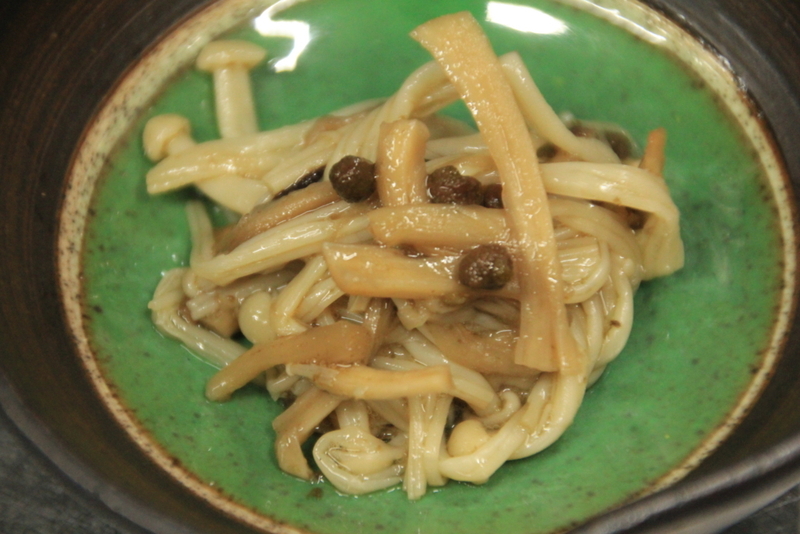 Splited stem cooked with enoki-mushroom. 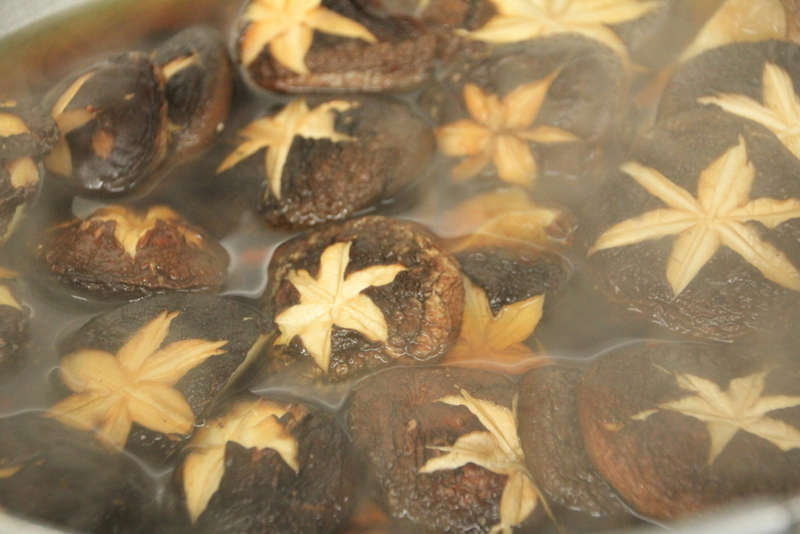 Sansho-spice taste.